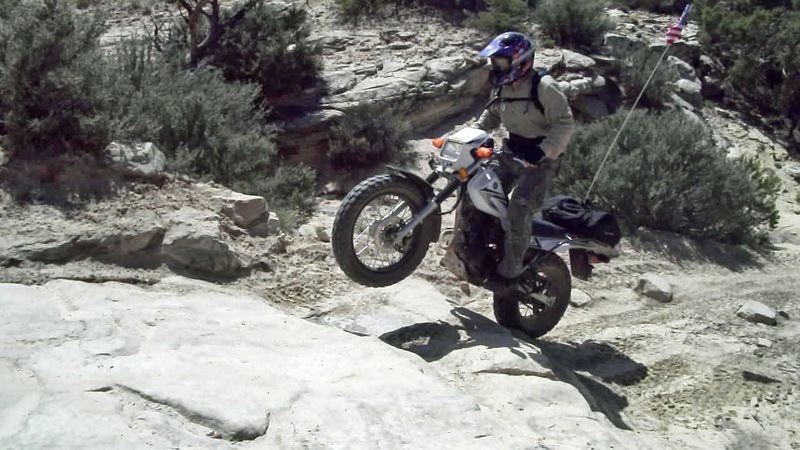 For this Memorial Weekend, we road an extended version of the Devil's Racetrack in San Rafael Swell. Our total distance was 71 miles round trip. We started at about 11 am and finished at about 8 pm, just a little under 9 hours. We had two options to start our adventure. 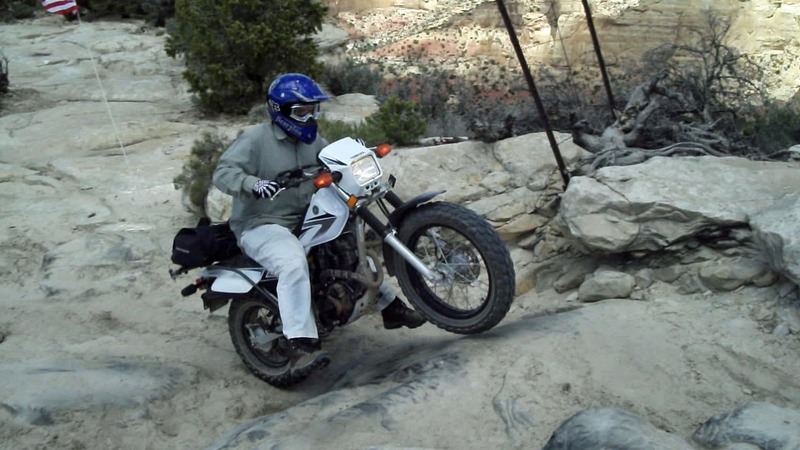 The first option of starting in Ferron (only 2 hours from Provo) and riding the ATVs about 45 minutes to the top of the Devil's Racetrack loop. 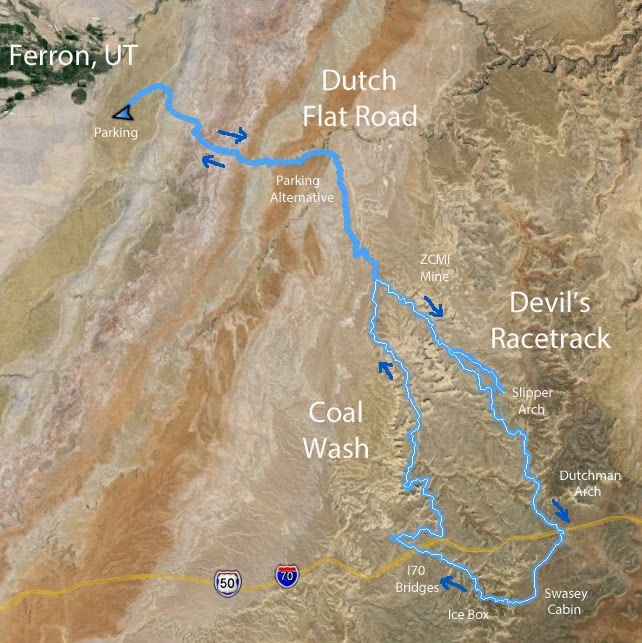 Or the second option of driving clear around to I70 (about 3 hours from Provo) and starting at the bottom. 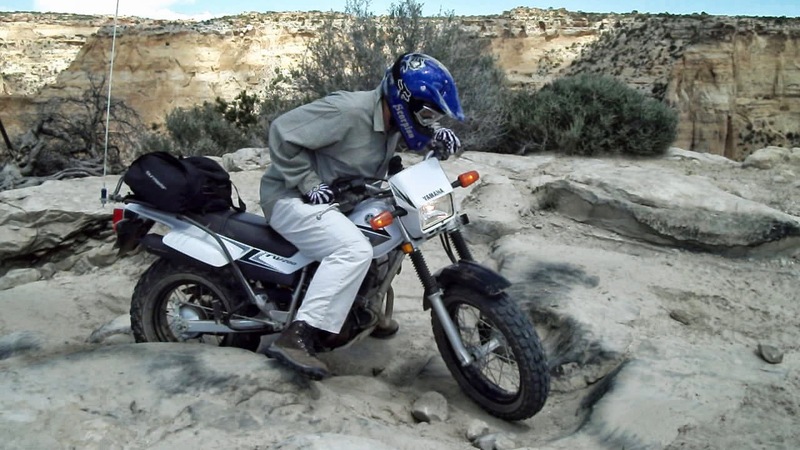 We choose Ferron, the route that got us onto the ATVs the quickest. Daniel dropping down the "Steps"
The most difficult part of the trail is a little section on the Devil's Racetrack. You dropped down a set of steep steps (semi difficult to go down, much more difficult to go up), only to go around the corner and find the "Pits", a pretty technical set of steps and pits to cross. Once you are in the middle of these two, there isn't much chance of backing out now. The two are next to the canyon ledge, which doesn't help the nerves either. Kenneth stuck in the "Pits"
The trail varies greatly. 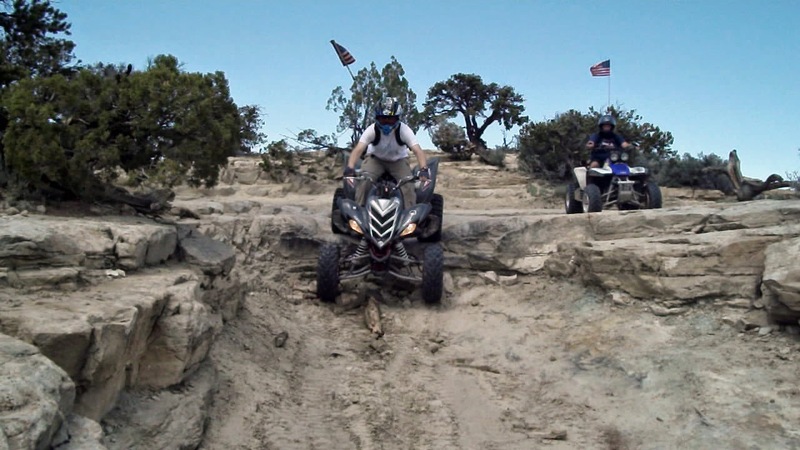 The ATVs preferred the dusty and sandy wash sections. The motorcycles preferred the roads, rocky and technical sections (and very much preferred to say out of the sandy washes). I also put together a photo book that includes other photos of the adventure. wow, he is so good, super human too.